Introductory training in astrology’s ancient lineage, with guidance on reading your chart. The study of astrology remains one of the most complex and easily misunderstood tools for self-knowledge. Now, Nan de Grove, a student and teacher of this ancient cosmology for more than 25 years, tells the basics of the signs, houses, and planets on The Beginner's Guide to Astrology. In one 70-minute CD session, De Grove shares the fascinating history of astrology and lessons from some of its legendary explorers and defenders; instruction about reading your own chart; and insights into the archetypes and mythic themes of the zodiac as they relate to everyday life. 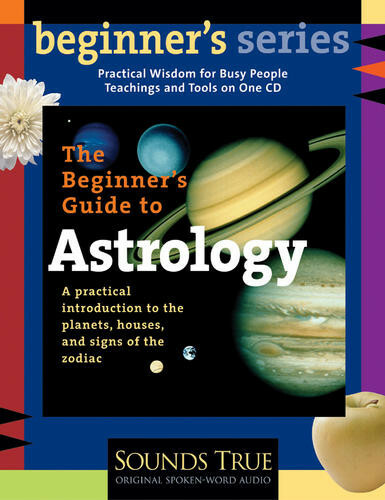 For anyone who has ever been confused about the true workings of this vast field of inquiry, The Beginner's Guide to Astrology is a practical guide that makes available to everyone the wisdom of this perennial science. Includes illustrated study guide with glyphs, learning resources, and more.